Rapid Transformational Therapy helps with: anxiety, panic attacks, depression, lack of confidence, procrastination, money blocks, addictions, infertility, performance issues, relationship issues, sexual issues, auto immune disease, sleep issues, fears and phobias. It’s is not your average hypnotherapy, it’s hypnosis on steroids! Developed over many many years by celebrity therapist Marisa Peer, RTT is now taking the world by storm. RTT is a hybrid therapy consisting of Hypnosis, Regression and Role/Function/Purpose to uncover the core beliefs that are creating your issues. Then, using methods such as Upgrading The Child, Dialoguing with the Hurter, Re-framing & Pure Suggestions we re-write those beliefs to create powerful new programs which form new physiology, feelings, thoughts and behaviours within you. We’re gonna get really clear on your new desire. We’re gonna get into your sub conscious mind via hypnosis. We’re gonna go back to scenes in your life where you picked up these ‘bugs’. We’re gonna change the interpretation you made. We’re gonna let go of all those pains and emotions that were holding you back and give you new beliefs that align with your desires. Includes: Consultation, 2 hour RTT session, personalised recording for you to listen to for 30 days after treatment AND Voxer access to me for 30 days for ongoing support. I’m Sally Garozzo and I’m a Rapid Transformational Therapy Practitioner! I’ve been a vocal coach, songwriter and performer since 2001 and a healthy liver for many years, but my main passion has always been helping people overcome blocks. I’ve overcome my own personal blocks including performance anxiety, general anxiety, perfectionism, depression, lack of confidence, relationship issues, degenerative disc disease and sugar addictions. I qualified as an Advanced Rapid Transformational Therapy Practitioner (RTT) in September 2017 and have many other qualifications including: NLP, BA Hons in Professional Musicianship, Reiki, Theta Healing, Exercise to Music and Vocal Coaching. 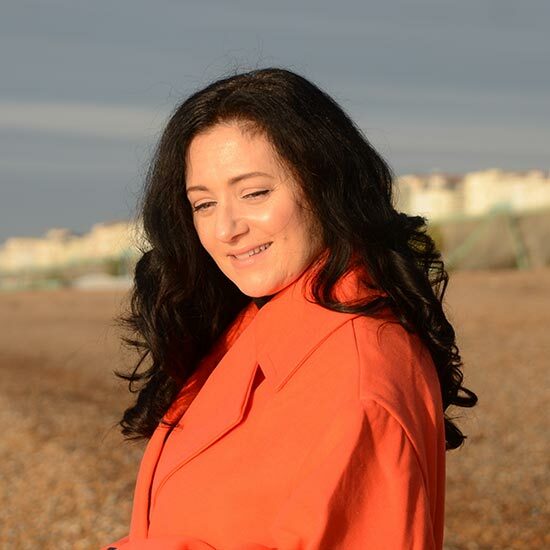 I’m the founder of Inspiring Talks Brighton where speakers from all walks of life talk about their personal breakthroughs and, in one way or another, are disrupting the status quo. I’m a big believer that the Universe has your back and that you’re meant to be here on this planet thriving in every area of your life…. sometimes we just need a little help getting there.